With NASCAR Sprint Cup drivers and teams taking their first break off during the Easter weekend, the chance to reflect on the 2012 season so far sheds light on some notable developments. Included below are some headline-worthy stories after the first six races of the stock car racing tour. The Longest (Possibly Best) Daytona Ever! A first-time rain postponement to Monday night, a wild action-filled Daytona International Speedway event, Danica Patrick’s debut in NASCAR Sprint Cup, Brad Keselowski taking Twitter onto the race track and a jet dryer set ablaze are just a few items that made the 2012 Daytona 500 most memorable. 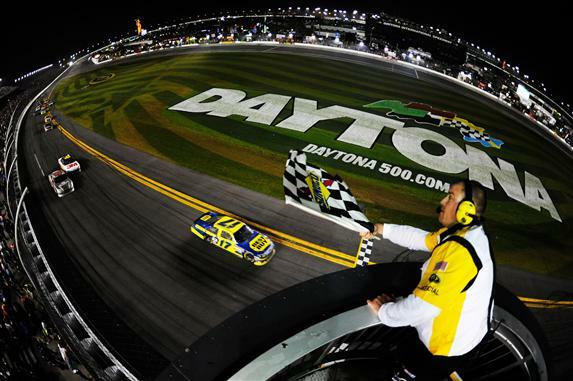 As a major rainstorm kept 43 NASCAR Sprint Cup car engines quiet within the Daytona International Speedway Sunday and into most of Monday, the season opener for the 2012 tour started during prime time television. Showing the respect race fans for the Great American Race, an estimated crowd of 140,000 people were present more than a day and half after the event’s originally scheduled start. With 25 lead changes between 13 drivers, the 2012 edition of the Daytona 500 was a suspenseful affair perfect for Monday night treatment. While the actual race took 3 hours, 36 minutes to complete, that time tally did not account for a more than 2-hour red flag period needed to extinguish a jet dryer fire started when the #42 Chevrolet piloted by Juan-Pablo Montoya suffered a mechanical problem that shot his stock car into the speedway clean-up vehicle. Thanks to Dodge driver Brad Keselowski’s ingenuity of carrying an iPhone in a closed compartment of the vehicle during the race, his Twitter page came alive giving fans a connection to drivers in competition. The victory for Matt Kenseth (occurring past 1am Eastern time) capped what a Daytona 500 distinguished from all others. A perfect way to start the 2012 NASCAR Sprint Cup Series season. In 2011, Tony Stewart fought through the first 26 races winless and barely muscled into the NASCAR Chase for the Sprint Cup. With many writing-off Stewart and the #14 Stewart/Haas Racing team early of any championship contention, the driver/owner came to life through the 10-race Chase. Recording 5 wins en route to his third NASCAR Sprint Cup Series championship, Tony Stewart rolled into the 2012 season as a top runner. Winning one of the Gatorade Duel 150 events in the Daytona qualifying heats, the first six official races ha netted two wins for Stewart (a driver who has historically won most of his events later in a NASCAR Sprint Cup season). After six races, Tony Stewart is 12 points out of the lead position in the series standings. Stewart is third place behind Greg Biffle and Dale Earnhardt Jr in 2012 NASCAR Sprint Cup points heading into the Texas Motor Speedway round. 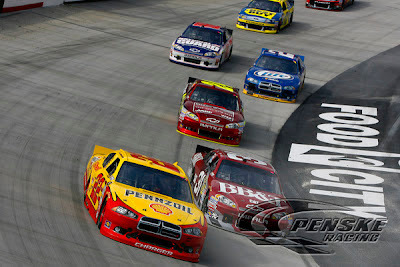 Hendrick Motorsports has not the ideal start of the 2012 NASCAR Sprint Cup season in the first six races. While Dale Earnhardt Jr is currently seated in 2nd place in the driver’s standings, the four-car team is continuing to chase their first victory for 2012 (which has the added prestige as being Hendrick Motorsports’ 200th win in the series). For what is considered the Hendrick Motorsports organization’s top team, the season started badly even before their Daytona 500 car was prepped during Speedweeks. 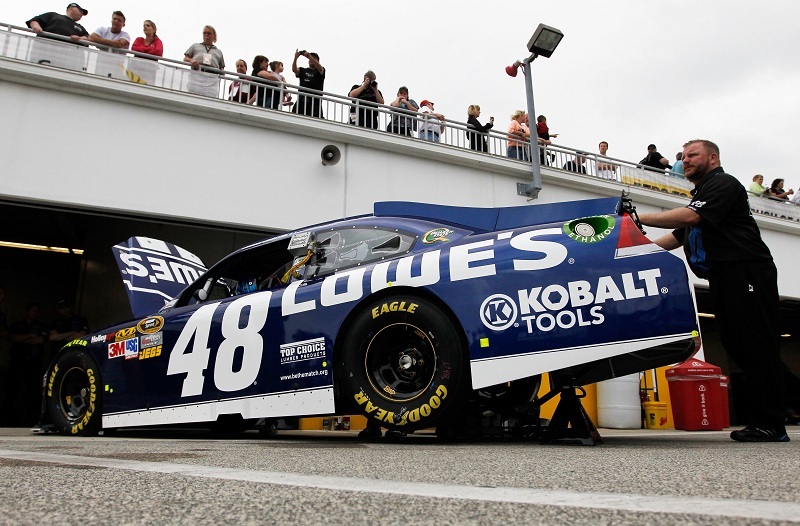 During inspection, NASCAR measurements determined that the #48 Chevrolet’s roof C-pillar was out of tolerances. Holding back the penalty until after the Daytona 500 race, NASCAR levied a hefty $100,000 as well as a 25-point deduction for the #48 owner’s points and Jimmie Johnson’s driver points standing. Chad Knaus and the #48 car chief were also handed a six-race suspension. It is unclear if the penalty would have impeded the #48 team at the Daytona 500 since they were caught up in a wreck completing the Hendrick Motorsports Chevrolet’s race after just one lap. Following the 2012 Daytona 500, Jimmie Johnson and the #48 team returned to form finishing no lower than 12th following the season opener. As the #48 Hendrick Motorsports team recorded better on-track results, the race organization appealed their penalty. Initially left defeated when a three-person panel ruled to uphold the penalties, Hendrick Motorsports took their case to the chief appellate officer where the team largely prevailed. Only left with the monetary fine, the victory through the stock car racing appeal process is a most noteworthy achievement. Debuting as a charter Toyota team for the Camry’s controversial entry into the NASCAR Sprint Cup in 2007, the Michael Waltrip Racing organization started in disastrous fashion as a three-car group struggling to make races. Making progressive steps to a top-caliber NASCAR Sprint Cup team, the three-car team of 2012 has shown impressive front-runner status in the first half dozen races of the year. 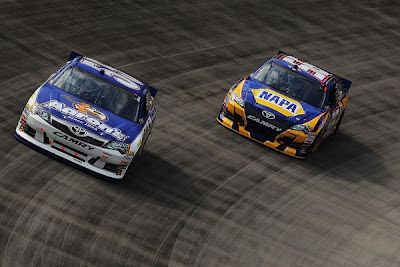 Driving the NAPA Toyota for a third season for the Michael Waltrip Racing camp, Martin Truex Jr has been the Sprint Cup series model of consistency in 2012. Truex Jr’s #56 Toyota has finished no lower than 17th in the first races of the 2012 NASCAR Sprint Cup Series tour. The week-by-week results have combined for a 6th place position in the overall drivers points standings. Releasing David Reutimann after 2011, the Michael Watrip Racing squad had acquired Clint Bowyer for the #15 Toyota. Despite a rocky start of the year in the Daytona 500, Bowyer and his crew have placed the #15 into the top-10 for 3 of the 5 races afterwards. Clint Bowyer is 9th in the NASCAR Sprint Cup point’s standings. For what is the first four races in a limited schedule for Mark Martin in 2012, the Arkansas NASCAR superstar delivered a pair of top-10 finishes and a pole for Michael Waltrip Racing at Phoenix International Raceway. At Bristol Motor Speedway, Brian Vickers took over the #55 and drove a masterful first race to a fifth place result. Through the driving collective, the Michael Waltrip Racing #55 Toyota is 9th in car owner points after the first 6 NASCAR Sprint Cup races of 2012. 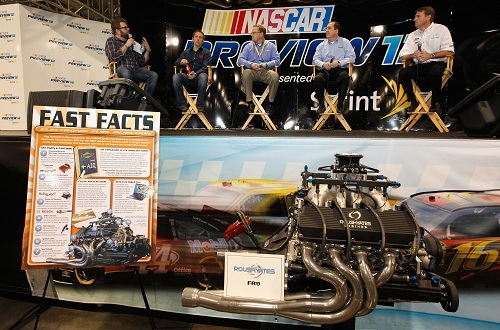 Joining the vehicles in the modern automotive marketplace in North America, NASCAR Sprint Cup adopted electronic fuel injection as the method for feeding the V-8 engines of their stock cars. After considerable testing during 2011 and through the past off-season, fuel injection debuted at Daytona with levels of uncertainty. Despite the miles put on the NASCAR Sprint Cup car’s new fuel delivery system in testing, the performance of this format of fuel injection left unknowns during first conditions. For the most part, the new electronic fuel injection system on the stock cars has proven successful in replacing what was the long-standard carburetor. Allowing teams to explore a level of computer-assisted data acquisition, the electronic fuel injection system has given tools many other forms of motorsports have been utilizing over a decade. The only major downside attributed to the electronic fuel injection system was an isolated incident involving the #14 Chevrolet of Tony Stewart. Mid-way through the Subway Fresh Fit 500k at Phoenix International Raceway, the system had shut down Stewart’s engine costing the reigning champion and crew two laps diagnosing the problem. The NASCAR Sprint Cup electronic fuel injection system still has a season’s worth of challenges as it powers 43 race cars through the ongoing 2012 schedule. New race tracks, the 2012 series’ first 500-mile event set for Texas Motor Speedway and the two road courses should provide the best opportunities to see how the new norm of NASCAR Sprint Cup can benefit the future of stock car competition. Despite all of the ingredients for success, the newly forged relationship between Kasey Kahne and Hendrick Motorsports has resulted in less than stellar start to the 2012 NASCAR Sprint Cup season. Kasey Kahne’s was involved in a somewhat complex flight path to Hendrick Motorsports first charted in 2010. Driving the #9 Ford for Richard Petty Motorsports in 2010, Kahne signed to replace Mark Martin at Hendrick Motorsports for than-distant 2012 season. Expecting to see how Kasey Kahne’s future plans would affect his relationship with his Richard Petty Motorsports team through the 2010 season, it initially appeared promising that the two soon-to-be parted entities could focus on track. Collecting three top-five finishes in June and July races, the partnership would deteriorate during the Charlotte Motor Speedway fall race. As the Richard Petty Motorsports #9 Ford was sidelined after an early race accident, Kahne implied he was too ill to continue completing laps in event. When suspicion arose that Kahne may not have been truthful, the partnership dissolved. Through the remainder of 2010 and into the 2011 NASCAR Sprint Cup season, Kasey Kahne home a pivotal temporary home with Team Red Bull. 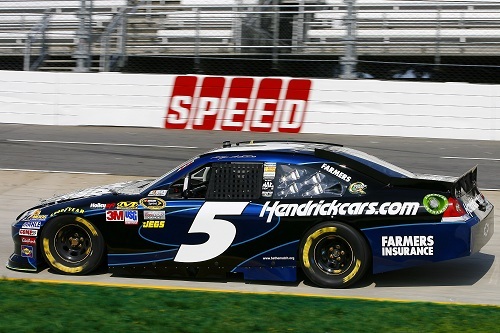 By the end of the 2011 tour, Kahne and the #4 Toyota was one of the hottest combinations in the NASCAR Sprint Cup racing field. Finishing in the top-10 for 7 of 8 final races, Kahne and Team Red Bull won the Phoenix event in their second-to-last journey together. Leaving 2011 with optimism of front-running presence, Kasey Kahne finally climbed into the #5 Chevrolet for Hendrick Motorsports at Daytona. Amusingly sponsored by Farmer’s Insurance, the #5 Chevrolet piloted by Kahne has been potentially the most at-risk contender wherever an accident on track unfolds. After six races, the team’s top finish was 14th at the rain-shortened event at Auto Club Speedway in California. 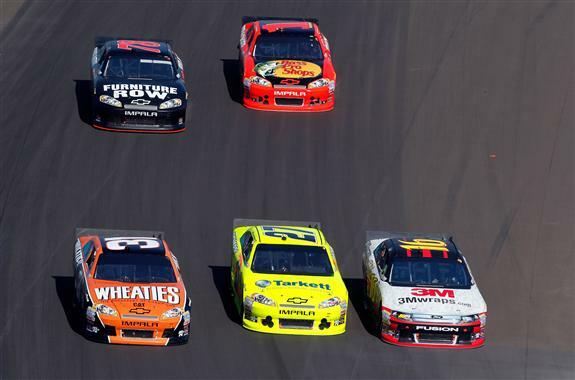 Most dramatically is the #5 car has recorded results 29th or worse in 4 races starting the 2012 NASCAR Sprint Cup season. In the overall series driver point’s standings, Kahne is 31st. On the bright side, Kasey Kahne and the #5 Hendrick Motorsports has scored two pole positions proving they have pace. 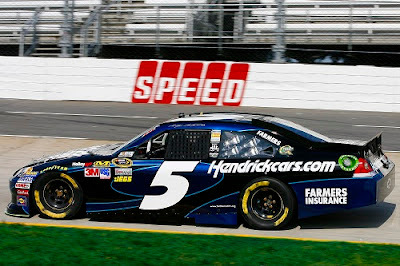 In the remainder of the 2012 season, Kahne and the #5 Hendrick Motorsports Chevrolet will require some fortune to fall their way to change what has been a series of mechanical problems and brushes with mayhem. 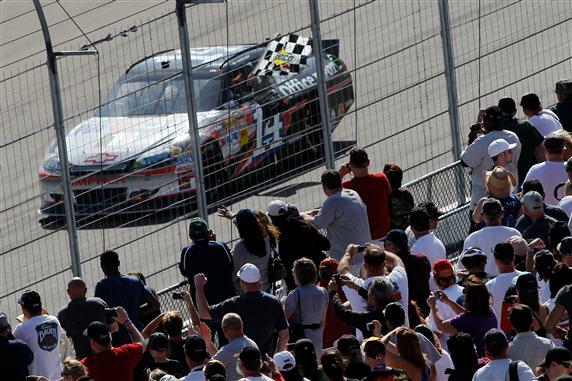 So far this year, the under one mile short tracks of the NASCAR Sprint Cup Series have presented a mixed bag of racing action. Once known as one of the hottest ticket in motorsports, the Bristol Motor Speedway Sprint Cup Series events have been diminishing as an attraction most likely because of the recent on-track product. As impressive as the dominating performance by Brad Keselowski was during the 4th race of the 2012 NASCAR Sprint Cup season, the high number of empty seats signified that the same ‘beating-and-banging action’ Bristol gained years ago was no longer on a prime showcase. A reconfiguration of the Bristol Motor Speedway’s concrete surface (that was actually meant to improve side-by-side racing with so-called “progressive banking”) has taken away much of the racing action NASCAR short track fans desired. The contribution of the Car of Tomorrow since 2007 could also be defeating the on-track competition when the NASCAR Sprint Cup Series has been racing at the short track. While Keselowski’s victory at the track in came through 13 lead changes, most of those were performed during green-flag pit stops as only 5 caution periods interrupted the event (the lowest level since spring of 1996). As a contrast to the Bristol Motor Speedway event, the Martinsville Speedway race held on the short, flat-banked oval provided an electric finish with side-by-side battling for position, intrigue and controversy. With a certain Hendrick Motorsports victory set, a stalled #10 Stewart/Haas Racing Chevrolet driven by David Reutimann set up an event that would ended under a green-white-checkered finish. Hendrick Motorsports would lose both lead cars of Jeff Gordon and Jimmie Johnson in a turn 1 tangle at Martinsville allowing Ryan Newman to steal victory.